Jay Melamed’s enthusiasm towards new ideas, and his background in sustainable construction led to his role in founding Prime Energy Group. Prior to beginning work on Prime Energy Group, Jay held various positions in the construction sector. His roles have ranged from Commercial estimating and project management, to business development. Jay was instrumental in driving his prior firm’s effort in joining the US Green Building Council, LEED, and overall “greening” of the firm. His earliest entry into the building sector was in construction accounting consulting for a software firm. A custom home builder client of his hired him away to streamline their office and field operations. Working in this capacity allowed for his involvement in all aspects of the construction business. This included managing the construction of multi-million dollar homes. Jay has voracity for learning. He has earned the industry designation for commercial sustainable building, LEED AP. Jay also holds an MBA from top ranked UNC Kenan-Flagler’s EMBA program. As an undergrad, he received one of the two highly coveted Gates Millennium Scholarships offered at his college during its inaugural year. Most of Jay’s free time is spent with his wife Eva and their young triplets. His growing family is expecting their fourth child due in April 2012. When time permits for a hobby Jay studies Krav Maga Martial Arts and is an avid surfer, snowboarder, and film enthusiast. He recently trained for and completed the March 2012 SPARTAN RACE in Charlotte, North Carolina. Josh Collins has been working in the retrofit market for the past five years. In that time he’s been in, under, and above hundreds houses that are anywhere from 200 years to 1 month old. Prior to joining Prime Energy Group in 2010 Josh cut his teeth in a few local firms, specializing in retrofits, crawl space remediation, and rain water solutions. He holds a BS in Botany from North Carolina State University and worked for years through that department for the USDA in Air Quality Control for plants. His science background comes into play when applying a Building Science approach to residential and commercial construction. While at Prime Energy Group Josh has added to his credentials with a BPI Certification for Building Analyst Professional, an Envelope Professional Certification, and he is a certified HERS Rater through RESNET. As an avid health nut, Josh spends his time racing in obstacle course style races such as SPARTAN RACE and TOUGH MUDDER. He also studies Krav Maga Martial Arts and is currently considering training in Brazilian Jiu-Jitsu for upcoming MMA competitions. Tim Kennedy has been in the building industry for 20+ years and has been in the spray polyurethane insulation business since 1998, where he started as a manufacturers representative for Icynene. Tim points out, “In the early years, builders and contractors did not understand tightening the envelope and claims of 50% reduction in heating and cooling cost seemed far fetched, but as Building Science has become more mainstream, builders recognize that it is the way of the future”. “I believe that all homes deserve to be as energy efficient as possible. Homes at an entry level price point should not be excluded from performing at a high level. I really feel as if we are wearing the white hat in our sales approach at Prime Energy, by reducing carbon emissions and saving the planet one building at a time”. Tim has an extensive background in understanding the building envelope. He started Kenway Construction in 2004 and built homes in the Knoxville, TN area, before moving to Charlotte to open a new territory for the rep firm in which he was a partner. He has been certified by RESNET as HERS Rater and has completed the Spray Polyurethane Foam Alliance’s Building Envelope Inspectors Course. “It is critical that we understand the thermal envelope, so when we make changes to the envelope we fully understand the effect we are having on the assembly”. While attending The University of Tennessee in 1990, Tim was called to active duty by the U.S. Army for Desert Shield. His unit was stationed in Saudi Arabia and was part of the original ground surge into Southern Iraq during Desert Storm and finished his tour in Iraq. When he returned home he accepted a job offer selling building materials for Diamond Hill Plywood in Nashville, TN which started his career in the industry. Today, Tim lives in Charlotte, NC with his wife Jeri and their three girls. He spends most of his free time entertaining his girls, but loves to wakeboard, play golf and attempts to stay in shape by running. Rich Brown, Prime Energy Group’s Sales Manager, has been primarily in construction sales and operations since 1986. 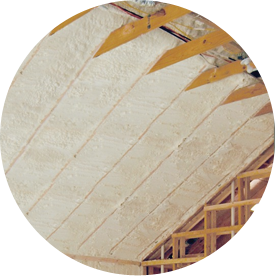 He has been selling and managing spray foam insulation work for the last seven years. As an Icynene-Certified sprayer, Rich is able to plan out foam jobs with an insight that many sales professionals lack. 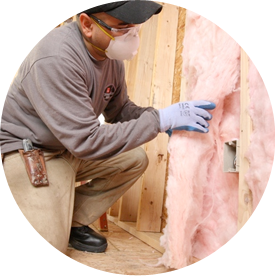 As part of the COMPLETE sales process, he guides customers through the tangled web of building inspections, as it relates to insulation, and in recent years, has held seminars for over 300 North Carolina building inspectors. Rich lives in Raleigh with his wife and two daughters, both of whom were born here. He graduated from Salem State University in Massachusetts in 1986, with a B.A. in Business, and Minors in English, Written Communications and Creative Writing. He holds three Second Degree Black Belts in Pankration, Judo and Ju-jitsu, and is currently training in Shisei Ryu. Rich is also a terrible, terrible golfer, who generally makes one perfect shot in each 18-hole outing. John leads the daily operations and assists with the strategic direction at Prime Energy Group. He is the point person for scheduling, purchasing, human resources, customer service and production. John is extremely passionate about building science and energy efficiency. As someone who believes deeply in cutting energy waste in homes and businesses, John is constantly striving to improve efficiencies in all aspects of operations at Prime Energy Group. John came to Prime Energy Group straight out of college and began working in the field as a member of an installation crew where he learned the foundations of the spray polyurethane foam business. Before Prime Energy Group, John attended The University of Mary Washington and graduated with a BS in Business Administration and minor in Environmental Sustainability. While at Mary Washington John was on the Men’s Track and Field team and competed in the high jump, long jump, triple jump and discus. Since joining Prime Energy Group, John is now a BPI certified Building Analyst and Envelope Professional and has been involved with hundreds of projects all in his first year. While John is not at work, he is tending to his collection of rare and exotic orchid species or visiting his family at the Outer Banks.